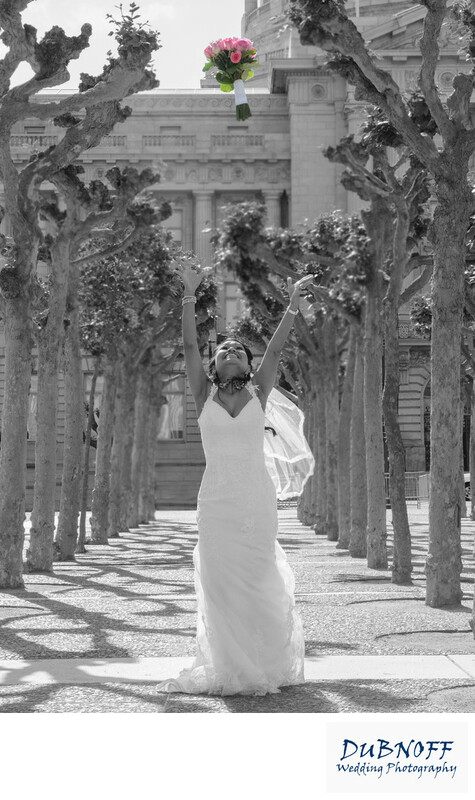 This San Francisco city hall bride wanted to throw flowers after the wedding..... To herself! We put her by the trees in Civic Center and had her throw the bouquet up in the air. To make the image different, we converted the entire image to Black and White except the flowers. This make the bride's bouquet stand out in the picture.